Telecom operators are in the midst of transformation and are migrating to new systems. However, Studies indicate that a majority of migration attempts have resulted in revenue leakages and has negatively impacted the brand and the customer experience. 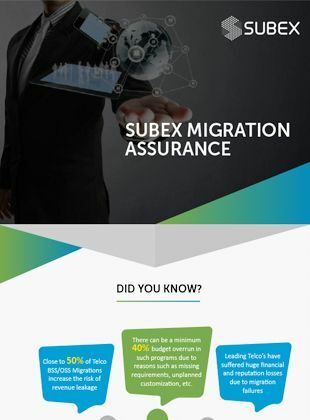 Subex Migration Assurance help CSPs alleviate the risks involved in their migration, enabling them to successfully migrate to new systems while assuring the key business parameters are taken care of. Download the datasheet to know more.